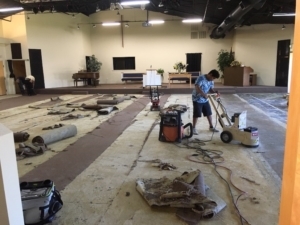 The people at Grace Baptist Church have faced some great challenges, but they also have seen God work in greater ways. In 2015 they were without a pastor, meeting in a building that held 60 people, and were down to about 12 members. Yet God was not finished with them. 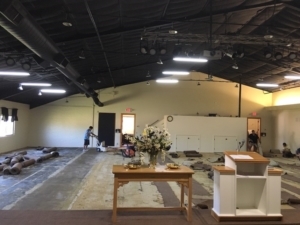 Through past discussions with a real estate agent, and the help of deacon Michael Ronning, the group engaged in a transaction of faith and sold their present building and property to a developer, and moved 4 miles to a new church property that seated over 200. 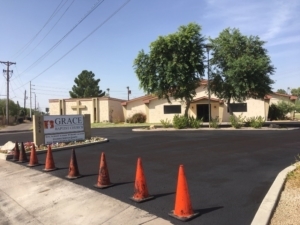 This new property included over 11,000 sf with 2 buildings. 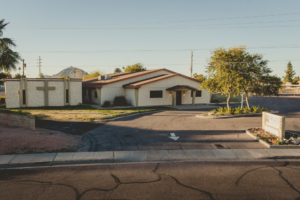 The prior church people were selling their building because they had moved to a car dealership property so that they would not look like a traditional church. They left chairs, tables and other valuable resources for the new group. The Bible refers to the church as the assembly of people, not the exterior structure. While the small group at Grace Baptist had a nice building, they could not support a pastor nor facilitate growth. In the end of 2016, contact was made with Wayne and Shanna Dale and God directed Baptist Church Planters to facilitate a revitalization ministry with the church and partner with fellowshipping churches in the state. 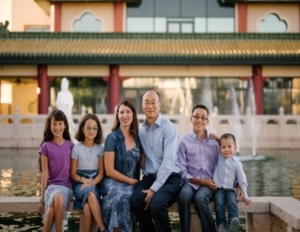 Grace had originally been a church plant from Calvary Baptist in Mesa, AZ. almost 40 years earlier. There are still some members who were part of the original work. 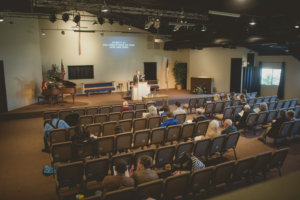 In the past year, God has brought some growth to this small congregation through answered prayer and the provision of resources. The church has sought to develop identity in the community through multiple methods. A new logo, website, and printed materials has been used to invite people from the community. This could not have been accomplished without the help of partners in ministry. A mission’s team from OH came in October to help with evangelism, passing out fliers for an Open House, and they participated in a community event that helped to establish credibility with the city of Scottsdale. The church people were also able to update the interior and hosted meetings with fellowshipping churches. While there is great potential for the ministry, there are also great challenges as well. Wayne drives 1-1/2 hours one way to and from his house, depending upon traffic. He and his family are planning to move to the area next summer, but housing costs for 3-4 bedroom homes are around $400K. There is also a need for younger, yet spiritually mature individuals and families to come and assist in the work of the ministry. While there are not many children in the church, God recently brought a family with 9 children that has quickly expanded that ministry.